It is with great sadness that AMSAT reports one of its founding directors and charter members, William A. (Bill) Tynan, W3XO, passed away peacefully at his home on Tierra Linda Ranch in Kerrville Texas, on August 7, 2018. He was 91. His active Amateur Radio interest really began in the mid-30s when he was a young boy. During the Second World War, and after obtaining a Restricted Radio Telephone Permit, he operated in the War Emergency Radio Service (WERS), donating his time to the effort to the citizens of Montgomery County, Maryland and, later, to the District of Columbia by operating WERS systems on 2 1/2 meter VHF (then called UHF). Of course, this occurred during a time when all Amateur Radio activity had been suspended for the duration of the War. His wartime activity would later spark his interest in the frequencies above 30 MHz, and he became an active VHF/UHF enthusiast almost since obtaining his first Ham ticket. However, it was his work in helping others exploit the VHF/UHF spectrum that best characterized Bill’s numerous accomplishments and contributions to Amateur Radio. 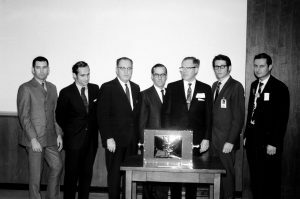 For example, in early 1969, Bill attended the charter meeting in Washington, DC to investigate the feasibility of carrying on the work of Project OSCAR, a group of West Coast Hams that had built and launched the very first satellites carrying Amateur Radio. The meeting later led to the establishment of today’s Radio Amateur Satellite Corporation (AMSAT). Bill was elected to the first Board of Directors of the new organization, and was later named Vice President for Operations. Bill performed yeoman service in this position during the OSCAR 6 era, principally because that particular satellite had a nasty habit of unexpectedly changing operating modes “on its own”. Bill’s superb efforts coordinated the work of dozens of worldwide command stations to keep OSCAR 6 (then the only OSCAR satellite in orbit) up and running for the world’s Amateur Radio Operators to use. His outstanding work allowed critical Amateur Radio propagation and other experiments, as well as other, more routine communications, to continue virtually unabated. His singular efforts extended use of a critical, space-based experimental Amateur Radio resource that otherwise would have been given up for lost. 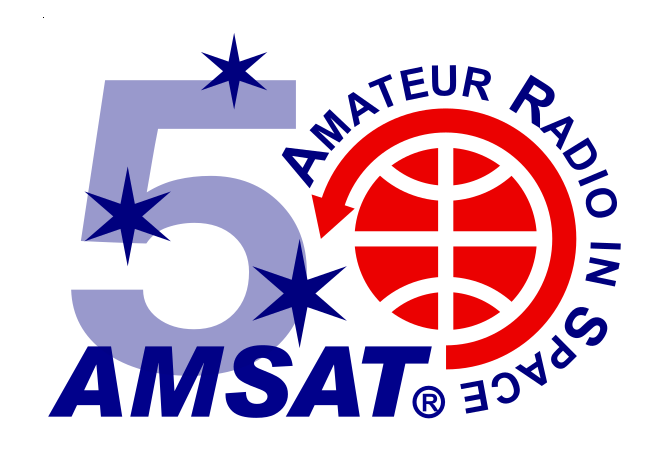 Later, Bill’s strong reputation for getting things done, and his expertise as a leading expert in the VHF/UHF arena, led to a request from the American Radio Relay League (ARRL) that he assume duties as Contributing Editor for QST Magazine’s “World above 50 MHz” column. 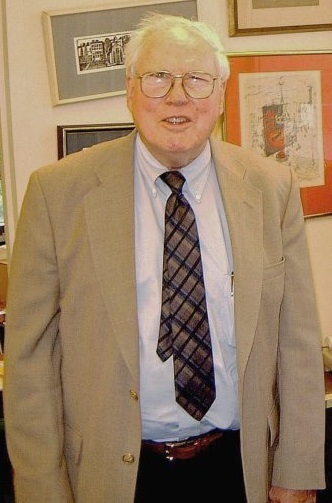 Under his superb guidance, and during the next 18 years, Bill kept the column both fresh and alive, while providing Hams worldwide with a powerful forum to advocate and nurture such new Amateur Radio technologies as long-haul VHF/UHF, moonbounce, DX and contest work, as well as emerging meteor scatter and satellite communications. However, while Bill Tynan’s first love was VHF and UHF work, his heart and soul were always with AMSAT. Not surprisingly, it is with AMSAT that Bill’s positive impacts on Ham Radio were destined to become some of his longest lasting contributions to our Service. For example, since his earliest days in AMSAT, Bill was intrigued with the possibility of Hams on the ground being able to talk to Hams in space. Later, in the mid-1970’s, he actively explored the idea of Amateur Radio operation from aboard the Skylab space station while Owen Garriott, W5LFL, was to be a part of that crew. Unfortunately, NASA did not approve this proposal, stating that it was too late to modify the station to provide for an antenna. However, later, as the Shuttle program was beginning (and on behalf of AMSAT) Bill authored the very first draft proposal to allow Amateur Radio operation from the Space Shuttle. His idea was soon picked up by the ARRL, and it resulted in a formal, joint AMSAT/ARRL proposal to NASA to allow this activity. Needless to say, Bill’s superb vision led directly to Owen Garriott’s historic first use of Ham Radio from space during the STS-9 mission, thus marking the birth of the (then) very popular SAREX program. In 1986, Bill was again elected to the AMSAT Board of Directors, and, in 1991, just as the Phase 3D project (which later became AMSAT-OSCAR 40 on orbit) was beginning to gain momentum, Bill assumed duties as President of the organization at a most critical period in its history. As with his previous callings, Bill wasted no time in making his lasting mark on the organization. As one of his first efforts, he was instrumental in pulling a team of over two hundred volunteer people from 13 different countries together with the common goal of building and launching the largest, most complex, and most expensive Amateur Radio satellite ever attempted. When he finally stepped down from his post as AMSAT President in late 1998, his repeated, annual re-election to this high post made his one of the longest running terms as President in the organization’s history. In addition to his solid accomplishments in furthering Amateur Radio, Bill remained a very active Radio Amateur. He was a life member of the ARRL, a life member of AMSAT (membership number 10), and was an active member of the Central States VHF Society, also serving on its Board of Directors. He was its President in 1992 and put on the organization’s annual conference that year. Bill was also a member of the Quarter Century Wireless Association, the Radio Club of America, the Institute for Electrical and Electronic Engineers (IEEE) as well as the National Space Society. Locally, he was the Program Chairman of the Hill Country Amateur Radio Club at his home on the Terra Linda Ranch in Kerrville, Texas and also served on the ranch’s Cable TV advisory committee. During his lifetime, Bill also received several prestigious awards, including “The Ham of Year” in 1996 from the Dayton Amateur Radio Association (DARA) and in 2012, the Barry Goldwater Amateur Radio Award from the Radio Club of America. Bill is survived by his wife of 51 years, the former Mattie LeNoir of Kilgore Texas, along with numerous cousins, brothers and sisters-in-law. No services will be held. However, his ashes will be scattered in two locations, the cemetery in Elgin, Texas where his wife will be interred and the cemetery in Hagersville, Ontario, Canada which is his mother’s birthplace, and where his parents are buried. In lieu of flowers, the family requests that donations be made in his name to the charity of your choice. I can only second the many comments and condolences that are coming in from around the world on the passing of Bill Tynan, W3XO. From the many remembrances of Bill’s past accomplishments, it is clear that AMSAT and amateur radio has lost a dear friend. Recently, Bill asked to step down as the AMSAT OSCAR Number Administrator. Bill has been granting applicants who qualify OSCAR numbers for over two decades, since the late-1990s. Even Bill could not remember the first number he issued, but he believed it was either TO-31 or SO-35. In any case, Bill had issued at least 57 OSCAR numbers. This is over 60%, or very close to two-thirds, of all the OSCAR numbers currently issued at this time. Bill liked to keep busy with his passion for amateur radio, whether this was working in the foreground or background. Only a few weeks ago, Bill proposed to AMSAT the use of FT-8 as a digital mode on a future satellite. My friend, Bill Tynan, W3XO, was always thinking ahead.